A native of Charleston, South Carolina, Dr. William Toole earned his medical degree with honors from the University of South Carolina School of Medicine. He completed his residency in orthopaedic surgery at the University of Florida / Mayo Clinic Florida. 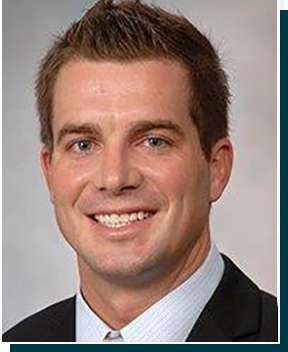 Following his residency, Dr. Toole completed a prestigious fellowship in sports medicine at the University of Texas Health Science Center at Houston and Baylor College of Medicine in Houston, Texas. During his fellowship, Dr. Toole gained valuable experience treating professional athletes as assistant team physician for the Houston Texans (NFL), Houston Astros (MLB), Houston Rockets (NBA), and Houston Dynamo (MLS). Dr. Toole’s expertise includes diagnosing conditions and injuries of the shoulder, hip, and knee. His extensive training includes the latest arthroscopic techniques for the surgical management of complex shoulder, hip, and knee issues, including knee ligament procedures, rotator cuff repairs, and cartilage techniques to preserve as much of the patient’s joint as possible. In addition, Dr. Toole specializes in the most cutting-edge and minimally invasive techniques and technology for shoulder and knee replacements, including patient-specific implants and robotic-assisted joint replacements. Dr. Toole is also revolutionizing diagnostics at South Palm Orthopedics by offering the mi-eye to visualize and diagnose patient injuries without the use of MRI. The mi-eye is a hand-held device that uses a miniature high-definition camera and a needle to provide a bird’s eye view inside a joint. Dr. Toole is a member of the American Academy of Orthopaedic Surgeons, American Orthopaedic Society for Sports Medicine, and Arthroscopy Association of North America. He looks forward to the opportunity to help get you back to a healthy and active lifestyle so that you can enjoy the beautiful South Florida weather! To request an appointment with Dr. Toole, call South Palm Orthopedics or request an appointment online.